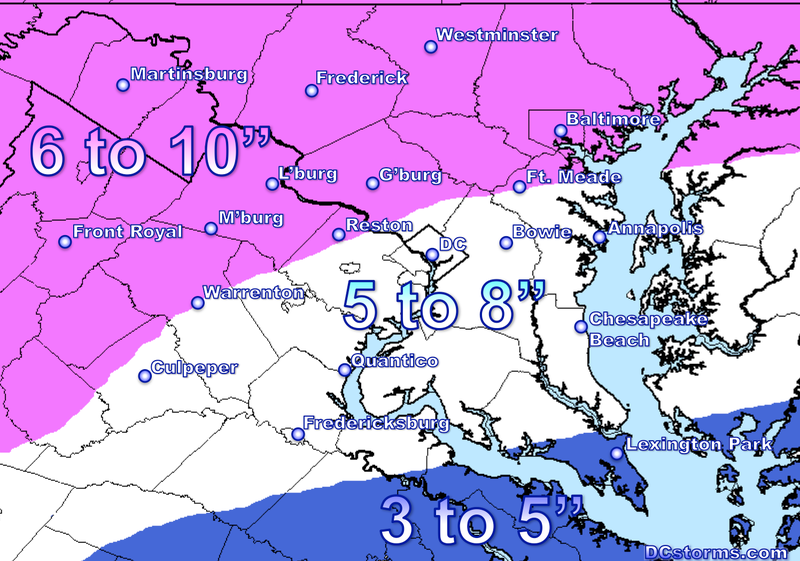 Rain and/or Sleet will change over to heavy snow between 6 and 9 AM in DC (earlier across the NW suburbs and later in the SE suburbs). Road conditions will deteriorate rapidly throughout the day on Thursday. 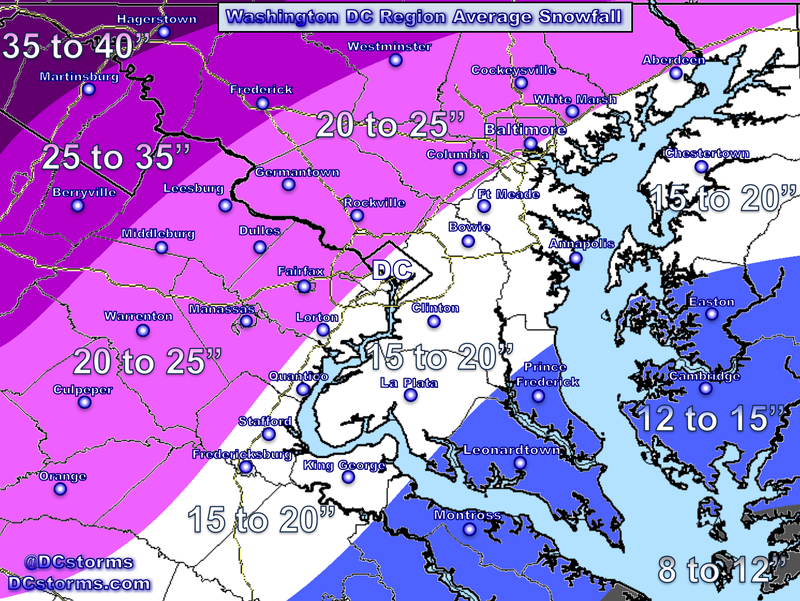 Snowfall rates will occasionally reach 2″ per hour between the morning and afternoon rush hours. 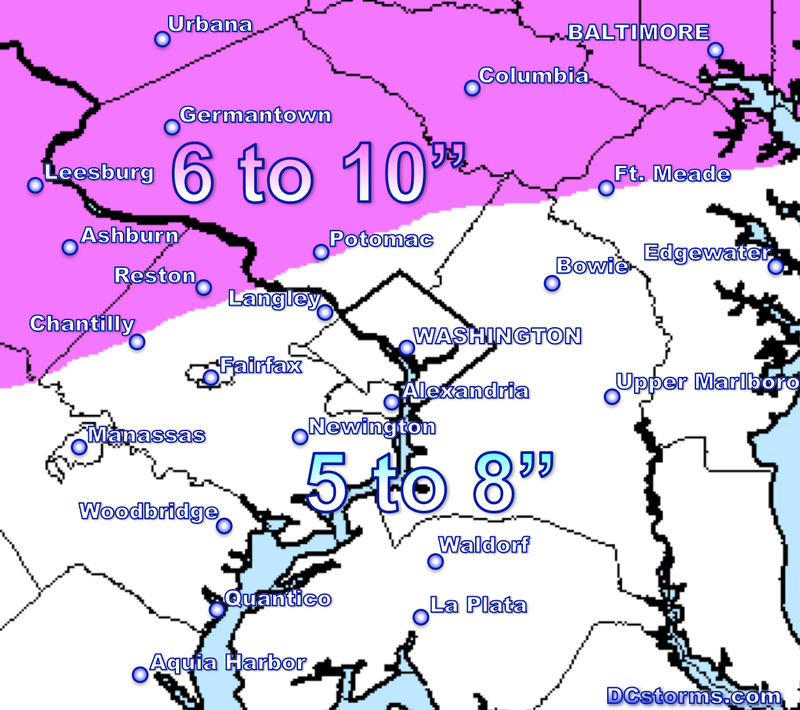 I think everyone will receive 5 to 6″ inside and around the Capital Beltway with 6 to 10″ in the northern and western suburbs. 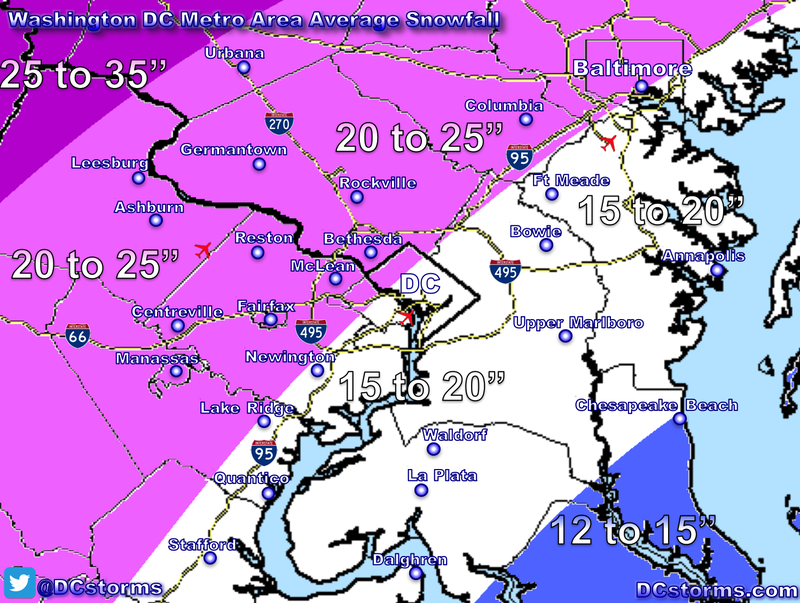 Even locations in the eastern and southern suburbs (away from the urban heat island of Alexandria, south Arlington and Downtown DC) could pick up 7 or 8″ of snow. Your forecast was spot on! I had close to 7 here in Greenbelt. 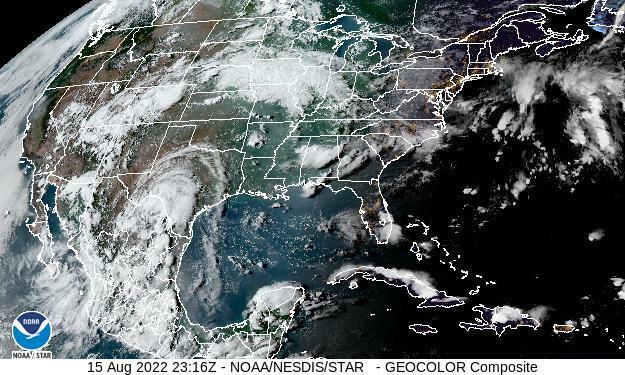 At least where I live (Greenbelt), looks like 5-9″ on your map. I will gladly take it!